Sun Pacific, growers of the beloved Cuties Mandarins, has a new friendly face to share with the world. 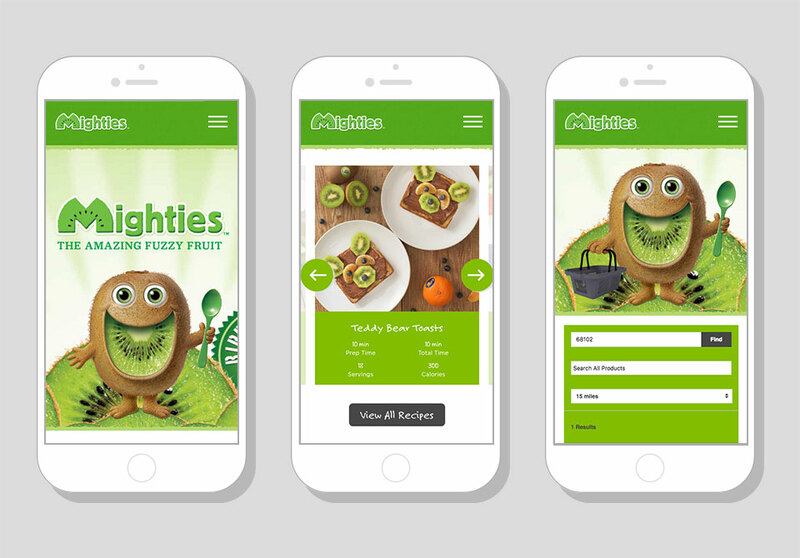 Mighties, one of their newest branded fruits, is a delicious and nutritious kiwi product. Two key findings based on SEO research were that people in our market are interested in "Nutrition" and in "Recipes." As a means to tailor the site to consumer behavior, we gave prominent placement on the site to both of those content areas.